Ukraine's Ministry of Finance expects GDP growth to accelerate to 3% in 2017 with inflation at 8.1%, Deputy Finance Minister Roman Kachur has said at a cabinet meeting, when presenting the basic directions of budgetary policy for 2017. According to Kachur, the Finance Ministry also expects the reduction of public debt in 2017. In particular, according to the presentation, in 2017 the national debt will stand at 67% of GDP, in 2018 at 66.8% of GDP, in 2019 at 63.9% of GDP, and in 2020 at 61.8% of GDP. 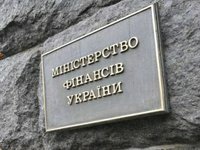 In addition, according to the document, the ministry forecasts the reduction of the budget deficit in 2017 to UAH 83.7 billion, or 3.7% of GDP, in 2018 to UAH 77.2 billion, or 3% of GDP, in 2019 to UAH 71.3 billion, or 2.5% of GDP, while in 2020 to UAH 71.3 billion, or 2.5% of GDP. The official said that the budget policy foresees the reduction of unemployment and further fiscal consolidation. At the same time, according to Prime Minister Arseniy Yatseniuk, GDP growth in 2017 might accelerate to 4%.